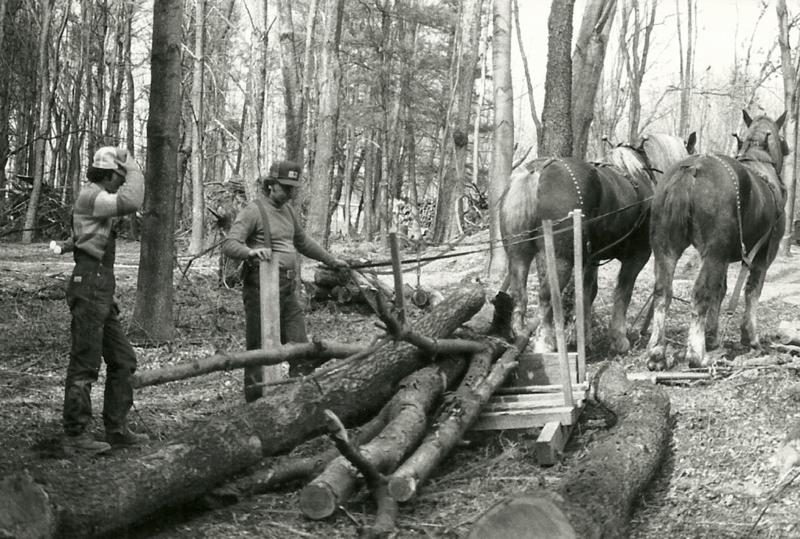 Jim Golden and his draft horses Spike and Rosie. Judged by standardized financial criteria, small businesses receiving collateral support through the SHARE program are high-risk undertakings; but to the local SHARE member/depositor who knows the character of the borrowers and can experience first hand the quality of their products – the investments are sound. The SHARE program of the Southern Berkshire region brought a human face back into lending decisions. Members of SHARE pointed to Rawson Brook goat cheese or Jim’s draft horses, or Marty’s Washing Machine Repair Service, or Bonnie’s wool-knit tights and sweaters for children and knew where their savings were at work. They had a true picture of the social and environmental effect of their investments not available from an abstract bank statement merely showing a standard rate of return. 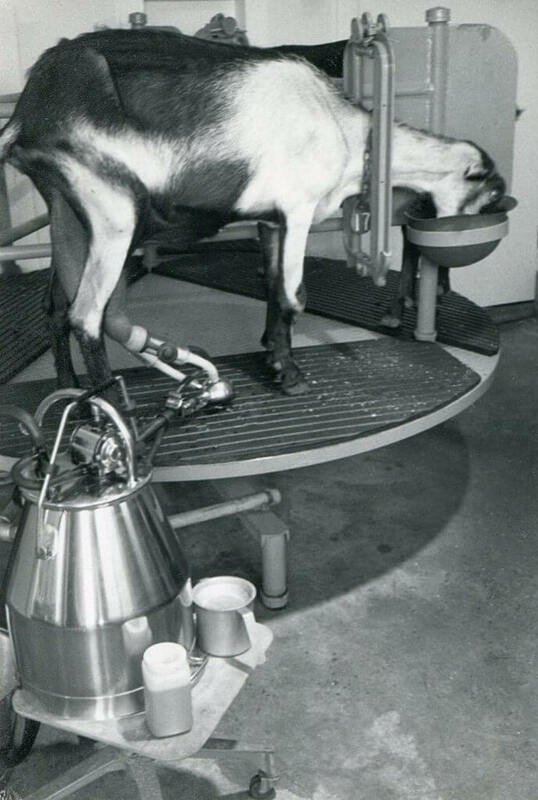 SHARE members/depositors knew borrowers by name, worked with them on community projects, asked for their products at stores, or hobnobbed, for instance, with the goats at the farm while buying a weekend party supply of Monterey Chèvre. When Sue and Wayne’s home burned to the ground at Rawson Brook Farm in February of ’92, SHARE members thought it natural to extend their loan, and in addition members individually donated clothes, household items and time to help rebuild. The visibility and good will generated towards a community-collateralized business thus helps ensure its success. This ability to lend based on personal character rather than past credit performance, this ability to respond to a crisis with flexible terms and to rally community support, and this ability to service the small business loans that are so important to the economies of rural regions and inner city neighborhoods, used to be an intrinsic function of banking and of the role of the banker. The current tendency to consolidate small banks has imposed a uniformity in lending procedures and has drawn deposits out of the local area in a pool for investment in urban centers. Bankers find it easier to place one lump sum than bother with the many small local loans. The SHARE program makes an efficient human-scale approach possible again by separating banking functions. The community of depositors assumes the risk and decides who should receive collateral support based on environmental and social criteria, and the bank is hired on a fee-for-service basis to make the transaction. Residents of the Southern Berkshire who wished to participate simply opened a 90-day notice certificate of deposit account at the participating community bank earning 6% interest at the time the program was initiated. By written agreement SHARE held the passbooks and had the right to place the books as collateral for loans meeting SHARE’s criteria. Today, deposit passbooks (the books used to record transactions and usually kept by the deposit holder) are not regularly used and another system of recognizing SHARE’s ability to use the deposits as collateral can be arranged with the bank. To collateralize a loan, a SHARE board elected by members/depositors simply approved the collateralization requests. The bank then made the loans at 10% interest, well below prevailing rates at the time. The 4% spread was the bank’s fee for servicing the transaction. Today, interest rates are significantly lower, so the terms set with the bank and loan recipient need to be tailored to the current environment. 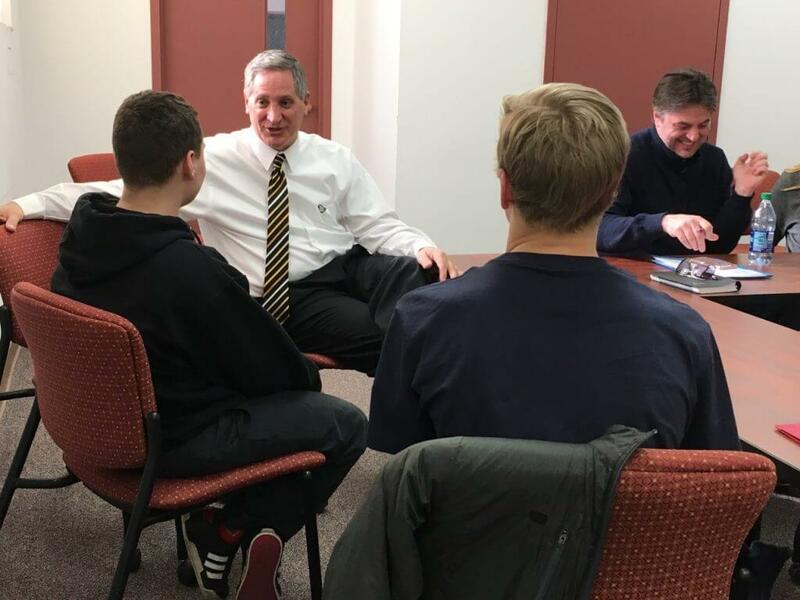 Bruce Marzotto, commercial lender at Lee Bank, advises two students during the 2017 Entry to Entrepreneurship class entitled “Financing a Small Business.” Next to him, advisor Oskar Hallig. The SHARE program of the Southern Berkshire region existed from 1981 to 1992, and collateralized 23 loans with a 100% rate of repayment—surprising the bankers, but not the SHARE depositors who knew the community businesses they supported. SHARE ended in 1992 when the banks in the region began reinvesting in small community-based businesses. Many of the businesses were able to secure loans at lower interest rates, so SHARE was no longer needed for its original purpose. However, the SHARE model is still a useful and simple to operate tool that can allow citizens to make affordable loans available to businesses that cannot secure loans at reasonable rates for a variety of reasons. There may be community members who don’t have a good credit history, for example women who stayed home to raise children and have not built credit. There may be entire communities, especially low-income communities, that banks are wary to invest in or where local banks don’t exist. There may also be new and innovative business ideas that aim to preserve resources or enhance the community in unique ways that banks are unfamiliar with, and therefore less likely to fund. The power of SHARE is that it allows the community to decide what types of businesses it wants—it leverages a community’s capital to make those businesses possible.